Fortune found folded up in the escapement rack of this 1948 Underwood portable. It looks as though it's been there since 1948, too. For whom was it meant? Does the power of its forecast still hold? Will someone soon enjoy the "Happevents" in their home? Me, as the finder? 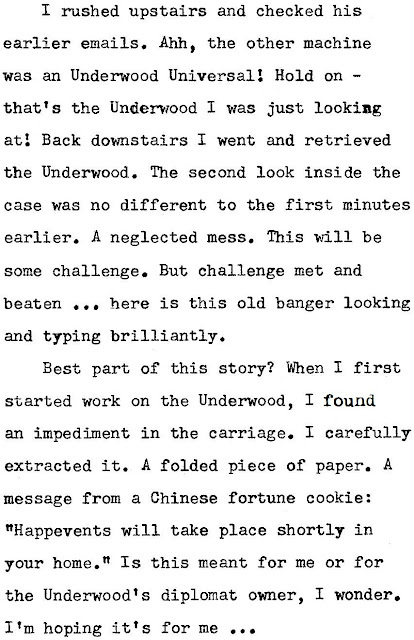 The diplomat, as the owner of the Underwood? I believe it is meant for all good Typospherians on the eve of this Christmas. May your "happevent" be a Halda, or a Hall, a Hammond, or a Hammonia. Or a lost but now found Underwood Universal, once grimy, now sparkling like Christmas tinsel. One thing in particular to take note of are the keytops, the E, the T and the A especially. Have you ever noticed how the most commonly used letters are the ones that get dirtiest? In the case of this Underwood, with the white letters indented into the black keytop surface, some letters become almost obliterated over the years with the build-up of grease, sweat and dirt in the indentations. 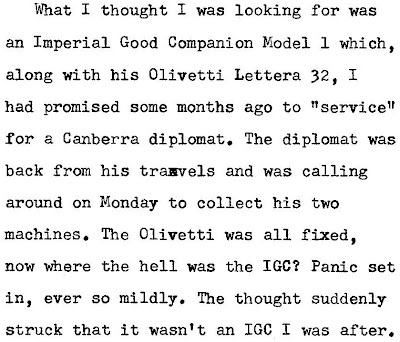 Black-keytopped Hermes Babys and Empire Aristocrats also commonly suffer from this problem. The five small holes on the front of the ribbon spools cover are from metal point-of-sale advertising plates which have long since gone missing. 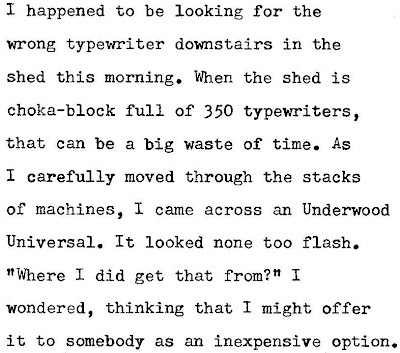 Heh, you may not have known what you were looking for in that shed, but your Typewriter Bone did! That typerwriter has scrubbed up very nice. Excellent work on the cleanup. I rather like the look of these machines. they're quite beautiful. Thank you so much Ted, Ray and Scott. Ted, good point, I hadn't thought of that. Scott, this is the model I first used, 55 years ago. Every time I use one now it's a happevent. 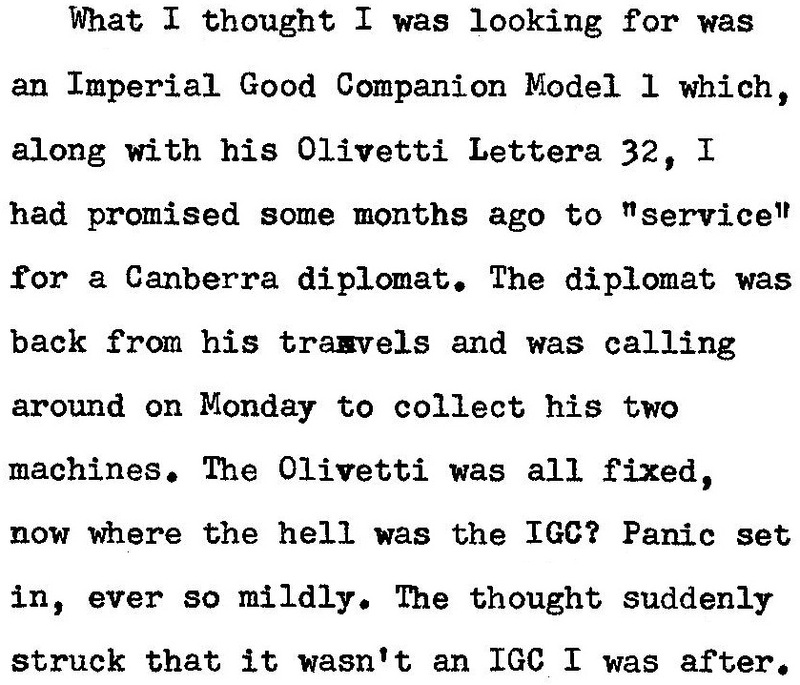 I have the exact same typewriter. Could you please tell me where I can have it restored? 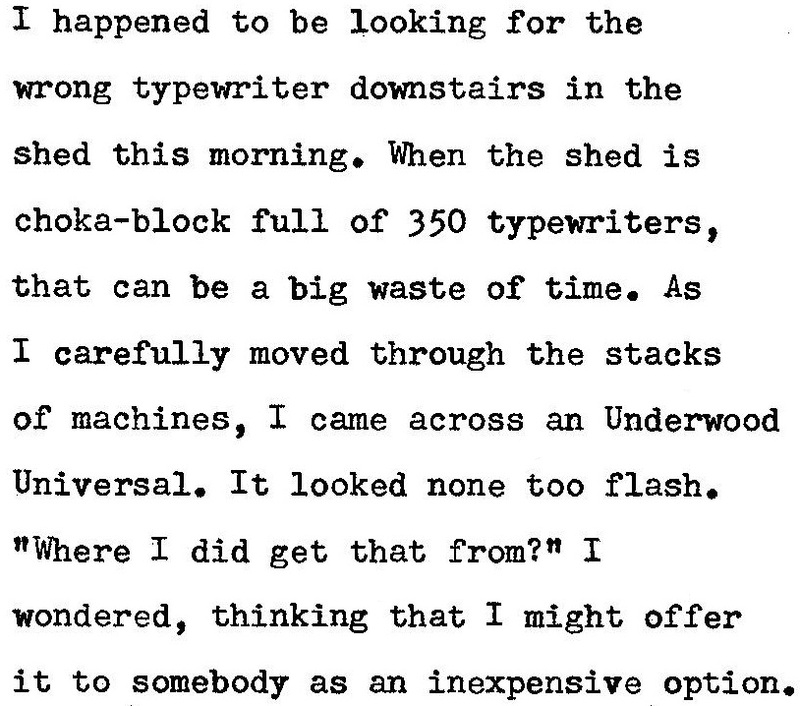 I have the exact same typewriter. Could you please tell me where I can have it restored. That very much depends on where you live.